Suitable For W203 C-Class Estate Models. 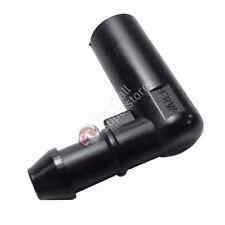 Fits Most R50 R52 and R53 Models 6/2001 - 11/2006. FRONT windscreen washer jet. ( Not the heated type ). Perfect to replace your old worn out blocked or corroded FRONT washer jet. 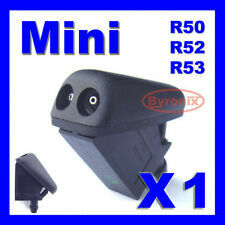 Compatible with BMW 5 & 6 series E60 E61 E63 E64. Produced between 2006-2010. Fitting instruction are easy to find on You Tube. 4x Stainless steel washer. Set includes. Rear Washer jet. Perfect to replace your old worn out blocked or corroded washer jet. 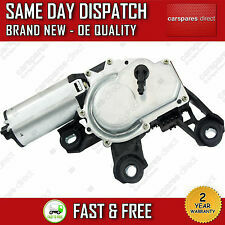 BRAND NEW TOP QUALITY WIPER MOTOR. Part Numbers (PRC2621/0 Arms, Spindles STC987, Blades PRC1330F). 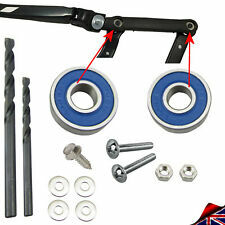 LAND ROVER SERIES 2A/3 wiper arms/ Blades and spindle Set. LAND ROVER SERIES 2, 2A & 3 WINDSCREEN WASHER PUMP - STC575. Genuine Bearmach High Quality Components known all over the world for high quality parts. L R Parts Ltd is an authorized Bearmach distributor, we specialize in new Land Rover Spares, stainless steel bolt sets for Land Rovers and general maintenance parts. FIAT 500 ABARTH 2008--->. 2x Front Washer / Nozzle jets. FIAT PANDA 2012--->. FIAT 500 2007--->. Peugeot 208 2012-2017. Rear Washer Pipe / Tube. 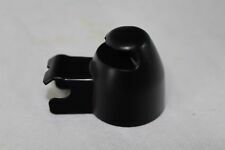 GENUINE HONDA CIVIC RH WINDSCREEN WIPER ARM CAP 2006-2011. We are an established Honda main dealer and can provide genuine parts & accessories for all the Honda range. 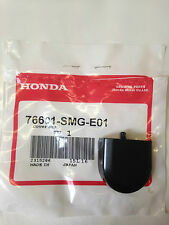 All our parts are ordered directly from Honda UK and are 100% Genuine. Want this for Tomorrow.Monday-Saturday... see options. Ref Number 6438K7. 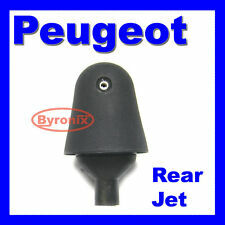 These fit the Citroen C8, Peugeot 807 or Fiat Ulysse. This is a pair of Headlight washer jet covers that fit on the end of the jet and fit flush on the bumper. We are a main dealer for our franchised vehicles. Citroen Berlingo PV (B9). Citroen Berlingo UV (B9). Citroen Berlingo VP. Citroen Berlingo VP (M59). Citroen Berlingo VU. Citroen Berlingo VU (M59). Citroen 643445. Citroen AX. FOR NISSAN MICRA K12 2002-2010 OEM#28930-AX600. 2x Front Wiper Blades DKC100960. 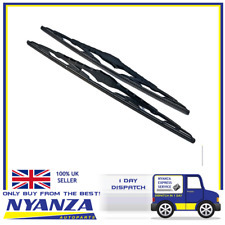 Land Rover Discovery 2 Front & Rear Wiper Blades. Land Rover Discovery 2,(998-2004). 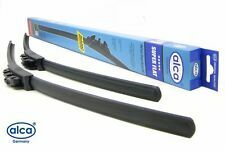 Discovery 2 Full Wiper Blade Set. Land Rover Parts & Accessories. Land Rover Parts. Genuine Smart Car Fortwo (451) Front Wiper Linkage/Arm Cover A0009983521 NEW! 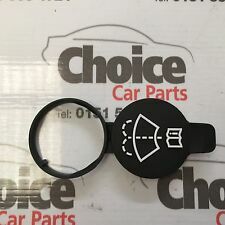 Genuine Smart Fortwo (451) Front Wiper Linkage/Arm Cover. Suitable for all Smart (451) Fortwo Models. Peugeot 106. Place: Rear Window. Condition: New. Suitable for all Defender models with hook type fitting. Terrain Vehicles LTD is a family run Independent Land Rover and Range Rover specialist garage. OE Ref number : 6438Z1. Producer: Peugeot Genuine (OE). Genuine Front Window Washer Jet. Quantity: 1 Washer Jet. AERO FLAT WINDSCREEN WIPER BLADES for Toyota AURIS 07-ON size 26" 16"
We have all sizes (14"-26") wiper blades for most makes! Driver side : 26" /650mm/. Passenger side : 16" /400mm/. INTERGRATED SPOILER FOR BETTER PERFORMANCE AT HIGHER SPEED. NEW Genuine Quality Bosch Wipers & Autoparts! Part is provided in box. 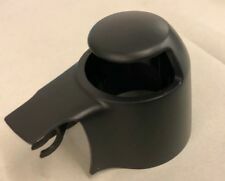 For sale: A brand new Genuine Vauxhall tailgate wiper arm cap To fit model: Nova (1983 - 1992), Cavalier (1989 - 1998) and Calibra (1989 - 1997) If you have any questions about compatibility please don't hesitate to send us a message with your vehicle registration number. Genuine Vauxhall Part. Great Value - Fits all Ford KA MK1 Models from 1996 to 2008. OEM number: 74EG 17632 BA. 2x HEYNER EXCLUSIVE windscreen wiper blade. 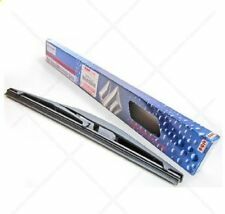 Set of 2HEYNER Germany ® EXCLUSIVE windscreen wiper blades. YOU ARE BUYING SET OF 2 WIPER BLADES FOR ONLY 12.99. FOR:MAZDA RX-8 2003-2010. FITTING: STANDARD U "HOOK" TYPE. Headlamp Washer Pump. This is the Single Outlet Pump for the headlamp washers. Ford Focus new genuine windscreen washer bottle cap. 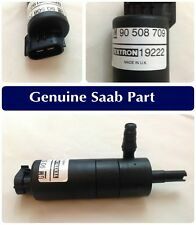 Ford is not responsible for covering the failure of authorised dealer supplied parts where such failure, in Ford's opinion has been caused by installation which does not follow Ford's repair instructions. Toyota Auris Avensis Corolla Prius Verso Rav-4 HEYNER windscreen wipers 26"16"